Our goal is to help you cool your specialty vehicle in a more informed way with parts specially designed for street rods, sport trucks and performance cars. We want to supply you what you really need to get the job done right! Therefore, we are always interested in your air conditioning questions and we welcome technical inquiries. Feel free to call or write. Also, be sure to come by our display at events or, if you see one of us just taking in the fun, please stop us to discuss your questions. As The Inventors Of Street Rod & Performance Air Conditioning, we are determined to continue setting the standards for our industry. For Vintage Air to continue its leadership, we must continue to evolve. In infrastructure, and most importantly, in quality personnel. For the past 12 months I have personally concentrated on bringing in the absolute best, most qualified people to help Vintage Air meet the challenges of our growth. Our team is the future of Vintage Air’s success. As you thumb through this catalog I encourage you to read the “stories” at the bottom of each page. In many ways these will tell you more about the quality of own staff and the care we build into every product than any ad or sales “pitch” we can make. Vintage Air has always taken a “complete system” approach to our product line. In fact, no other company offers the range of integrated components and accessories. Last year we introduced our improved automatic temperature control panel called the Series II Comfort Control. This new panel has more functions with a smaller control panel that may be remotely mounted. This year we are also introducing (see page 27) our award winning Streamline and Streamline II series of dash vents and control panels and knobs. These beautiful new accessories will give you more design choices for your interior finish. Additional “system components” come in the form of our new fan shroud line and improved switches and engine cooling packages. The “World’s Fastest Air Conditioning Company” is committed to supplying our customers with the very best components and product knowledge available. 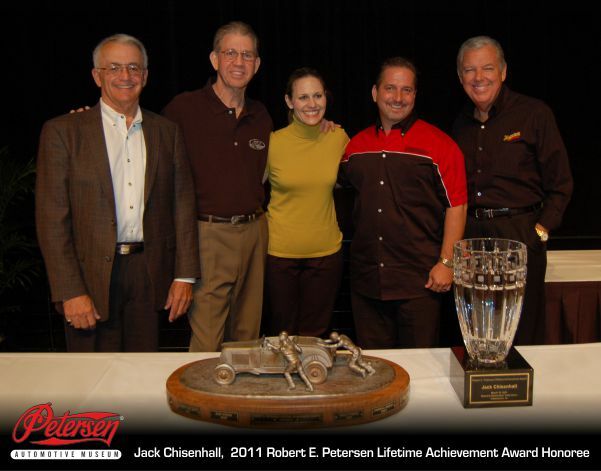 We’ve worked hard to become the most respected name in performance air and we have received more industry awards than any company in street rodding. The depth of the Vintage Air product line is designed to provide integrated solutions to every vintage and performance air conditioning application need. The goal of our official Vintage Air clothing and accessories line (see center spread) is simply to give you the gear to “Live The Cool Life”! To our past and current customers, we truly thank you for your confidence in us since 1976. To our future customers, we look forward to serving your needs for years to come! “I’ll see you on the road!